Summer League is always and entertaining affair, with a mix of up-and-coming players hoping to make an impact in the league and journeymen looking for their next contract all vying it out for NBA relevancy. Meanwhile, the new tournament structure, which crowns a Summer League Champion, has added further flavour to the Summer League story. Summer League performances do need to be taken with a grain of salt, as lesser competition often leads to inflated statistics. However, it is still a great insight into the up-and-comers in the league. 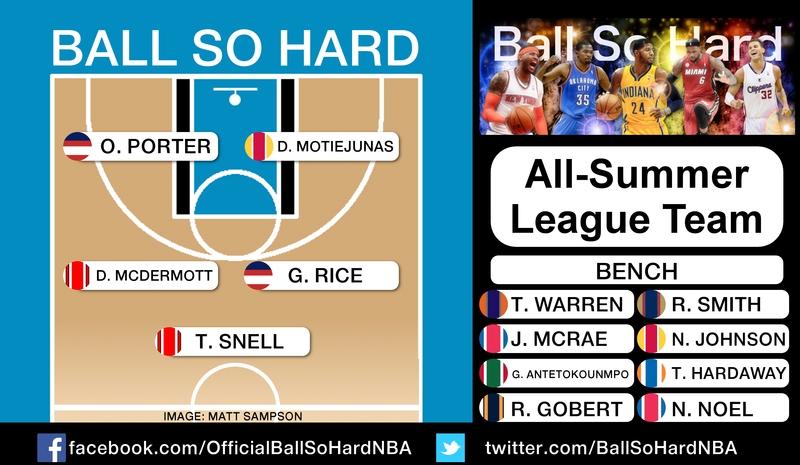 Here’s a look at the Ball So Hard 2014 All-Summer League Team. Coming up to his third season with the Rockets, Motiejunas needed to show something in Summer League to prove he is still a valuable asset to the team that picked him 20th overall in 2011. The big Lithuanian delivered in spades, leading the Rockets to the championship game in Las Vegas, averaging 14.9 points and 7.2 rebounds along the way. He also proved to be an efficient scorer, hitting 59.3% of his shots from the field and 38.5% from deep. Motiejunas capped off an excellent Summer League with a double-double in three of his last four games. His defence still needs some work – 0.3 blocks and 0.3 steals – but D-Mo showed that he could still play a role for Houston this season. Many questioned whether McDermott’s ability to put the ball in the basket would translate to the NBA game. So far, the former Creighton sharpshooter is proving those doubters wrong, finishing his first Summer League with averages of 18.0 points per game, while shooting a respectable 44.2% from the floor, 44.4% from beyond the arc and a ridiculous 95.7% from the free throw line. 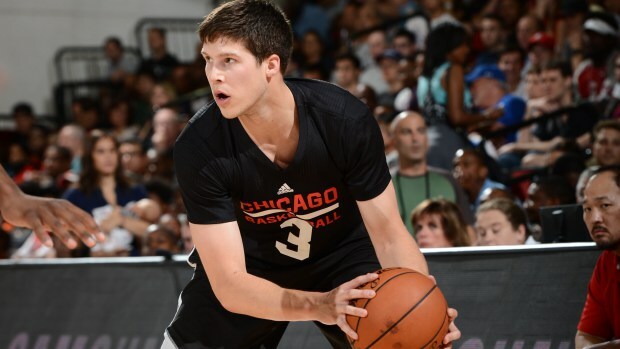 McDermott was not just a scorer for the Bulls either, chipping in 4.0 rebounds and 2.8 assists a game. His best game was a 31-point outburst against the team that traded him on draft night – the Denver Nuggets. If the 2014 Consensus National Player of the Year can continue to score efficiently, he’ll find a role in head coach Tom Thibodeau’s system. After a disappointing rookie season that saw Porter play just 37 games and average just 2.1 points and shoot 19.0% from three, a solid Summer League outing is just what last year’s third overall pick needed to boost his confidence. Thankfully, that is exactly what the former Georgetown star did, averaging 19.0 points per game, while hitting 48.4% of his attempts from the field and 38.9% from three. 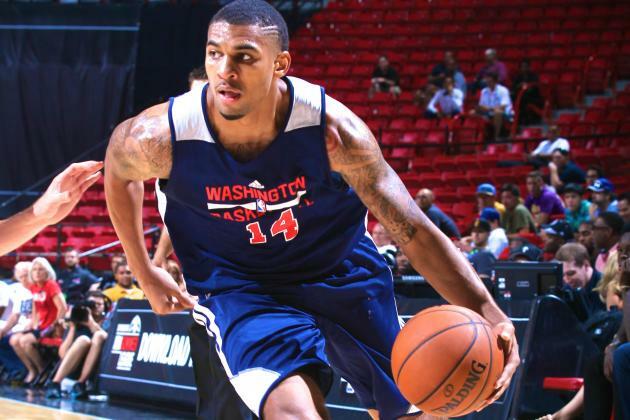 Porter also added 5.8 rebounds and 1.8 assists per contest for an exciting Wizards outfit. Another second-year Washington wing that did not have the best rookie season, making just 11 NBA appearances last season, Rice proved to be the star of Summer League. Averaging a league-best 25.0 points per game, and 7.8 rebounds, 2.3 assists and 2.5 steals per game, Rice was named the Las Vegas Summer League MVP. The 35th overall pick in 2013, Rice also scored at an efficient rate, knocking down 46.9% of his field goals and 36.1% from deep. His biggest highlight came in a triple-overtime thriller against the San Antonio Spurs, where Rice notched a tournament-high 36 points and nailed a three to send the game to a third overtime. Another second-year player who had an underwhelming rookie season – 4.5 points, 38.4% from the floor – Snell showed why he was a first round pick last season, coming up big for Chicago in Las Vegas. The former New Mexico product averaged 20.0 points, 4.0 rebounds and 2.8 assists through five games and proved he is still an excellent shooter, connecting on 46.6% from the floor and 50.0% from downtown – draining 17 three-pointers all up. He struggled slightly with his shot without McDermott on the floor in his final game, but given spacing in Thibodeau’s offence, Snell could become a contributor for the Bulls this season. 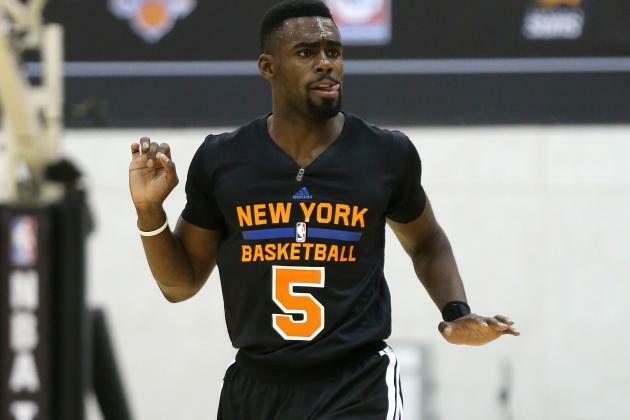 After a solid season with the Knicks, Hardaway was one of the standout performers at Las Vegas, averaging 22.8 points (second in the league) per game. The former Michigan star often looked out of place in Vegas for all the right reasons and it would certainly be a surprise to see him back again next year. While many Summer League players try to impress by putting up points, often jacking up as many shots as they can in the process, Smith came in and ran the offence for the Pelicans beautifully. The diminutive former Louisville playmaker led the tournament in assists with 6.4 per game. However, he also proved he could contribute in other areas, also putting up 16.0 points, 5.0 rebounds and 1.4 steals. The Houston Rockets may have gotten the steal of the draft, after selecting Johnson with the 42nd overall pick at the draft. 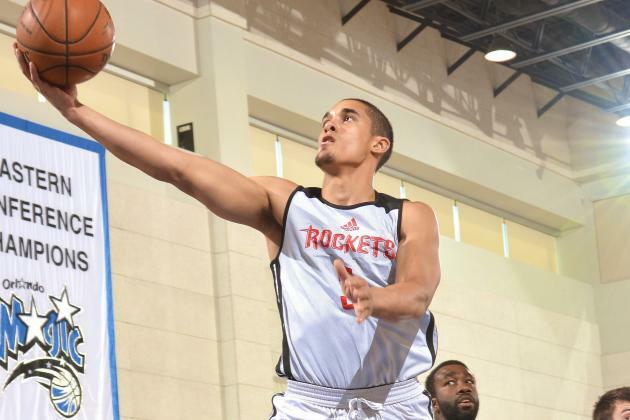 Johnson was one of the stars of the Orlando Summer League, finishing with a triple-double against the Brooklyn Nets. The former Arizona Wildcat averaged 15.8 points, 6.2 rebounds and 5.0 assists at Orlando and continued his solid play in Las Vegas, as the Rockets advanced to the championship game. His athleticism, hard-nosed defence and all-around game should see him make the Rockets final roster. The Suns perplexed many when they selected Warren with the 14th pick at the draft, as critics questioned his ability to score in the league without a steady three-point shot. However, the 2014 ACC Player of the Year showcased his scoring prowess for the Summer Suns, averaging 17.8 points per game at 54.4% from the floor, while shooting just four three-pointers for the tournament. Warren also proved to be a handy rebounder, grabbing 4.8 boards per game in just 24.8 minutes a night. 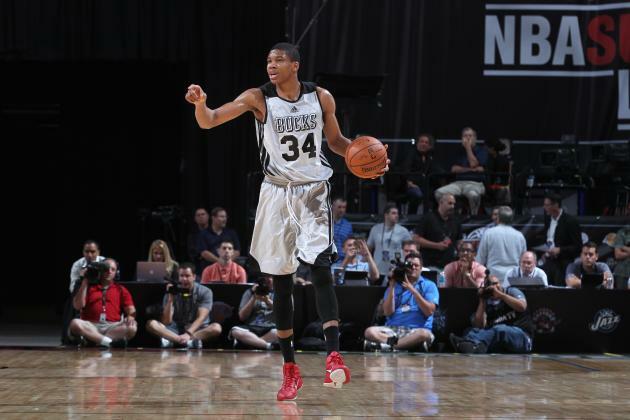 The Greek Freak showcased his brilliant all-around game in Las Vegas, averaging 17.0 points, 5.8 rebounds, 1.8 assists, 1.0 steals and 1.0 blocks per game. His jumpshooting also looked to have improved, shooting 46.2% from the floor and 37.5% from beyond the arc – up from 41.4% and 34.7 through his rookie season. He did turn the ball over quite a bit – 4.5 per contest – however, the Bucks will live with that as long as he continues to grow as a player. If he continues to improve at such a rapid rate, Antetokounmpo will soon be one of the best young players in the league. McRae, the 58th pick in the 2014 draft, proved to be one of the surprise packets of the tournament, averaging the third-most points in the league with 21.0 per night. He also shot an impressive 50.0% from the floor and a respectable 37.5% from three. After sitting out all of last season, NBA fans were anxious to see Noel in action and last season’s sixth pick did not disappoint. 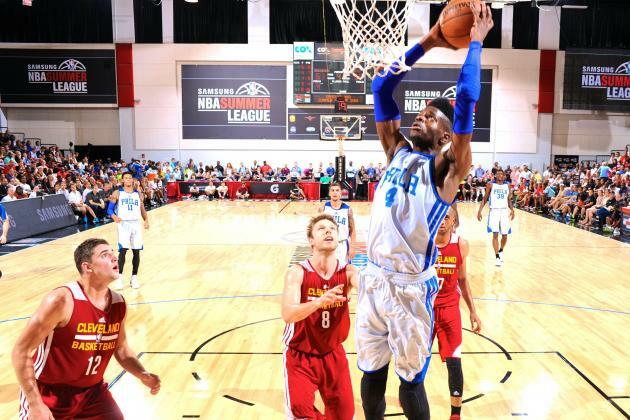 The former Kentucky rim protector was fantastic at the Orlando Summer League, averaging 13.7 points, while shooting 52.0% from the floor, 5.7 rebounds, 2.3 steals and 3.0 blocks. And he follow that up with a nice two-game cameo in Las Vegas – 13.0 points, 47.8% from the field, 5.5 rebounds, 1.0 steals and 2.0 blocks. With Joel Embiid set to miss a serious amount of time and Dario Saric still plying his trade in Europe, Noel will be a nice piece for the 76ers to add this season. The lengthy Frenchman had a fantastic outing in Las Vegas, blocking shots, grabbing boards and scoring efficiently. He did not play much last season – 45 games, 9.6 minutes per – but after averaging 11.8 points at 73.1%, 9.8 rebounds and 2.5 blocks per game, Gobert is sure to be a factor in new head coach Quin Snyder’s plans.